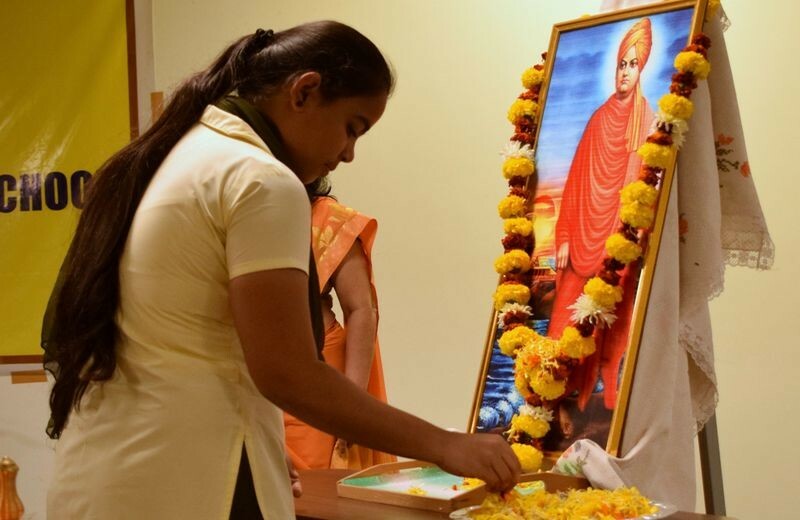 Student paying floral tributes to the portrait of Swami Vivekanand. Teachers and students presenting the invocation song. Participants narrating their stories based on the life of Swami Vivekananda. Mrs. Sumedha Kamat Desai, senior teacher and one of the judges of the competition speaking on the occasion of the National Youth Day. Principal Mrs. Rupa S. Khope speaking on the occasion of the National Youth Day. 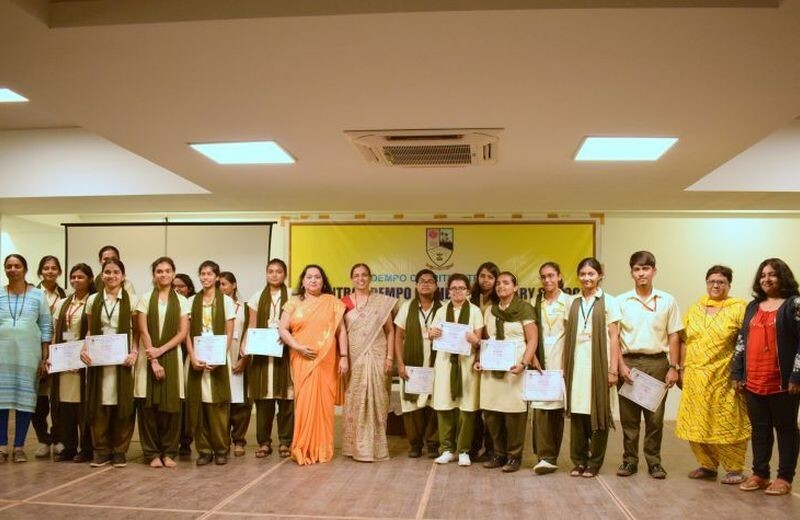 Principal Mrs. Rupa Khope and Vice Principal Mrs. Rekha K. Gurrala seen along with the judges, Teacher in charge of the Students Council and prize winners and other participants of the story telling competition organized to mark the National Youth Day. 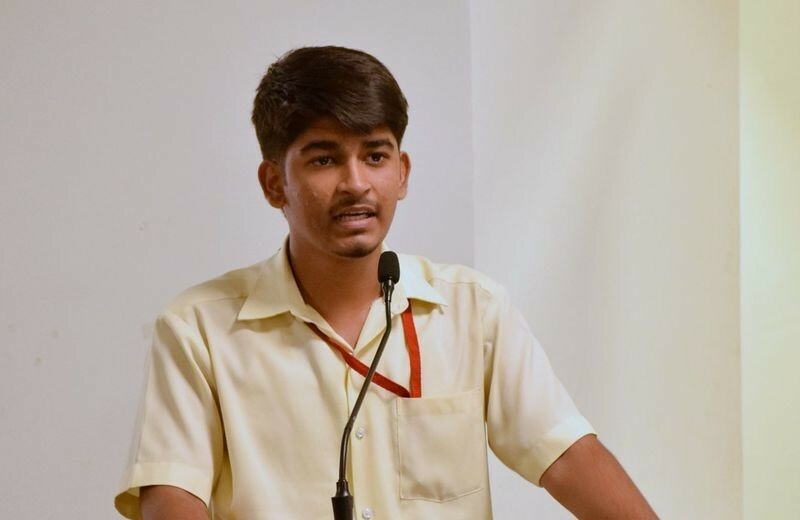 DCT’s Vasantrao Dempo Higher Secondary School of Arts, Science and Commerce, Cujira organized a ‘Story Telling Competition’ based on incidences from Swami Vivekananda’s life on the occasion of National Youth day to mark his 156th Birth anniversary. The competition was conducted in the A.V. hall of the school premises. 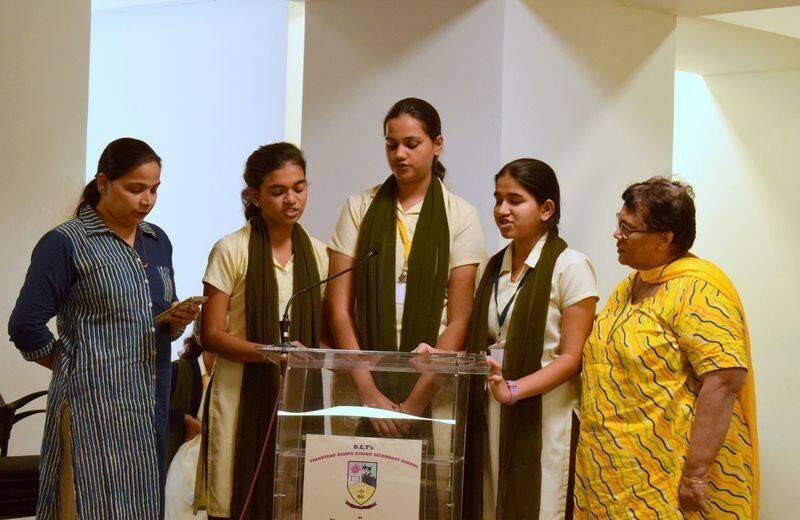 It was attended by the Principal, Mrs. Rupa Khope, Vice Principal, teachers and students from Arts and Commerce streams. 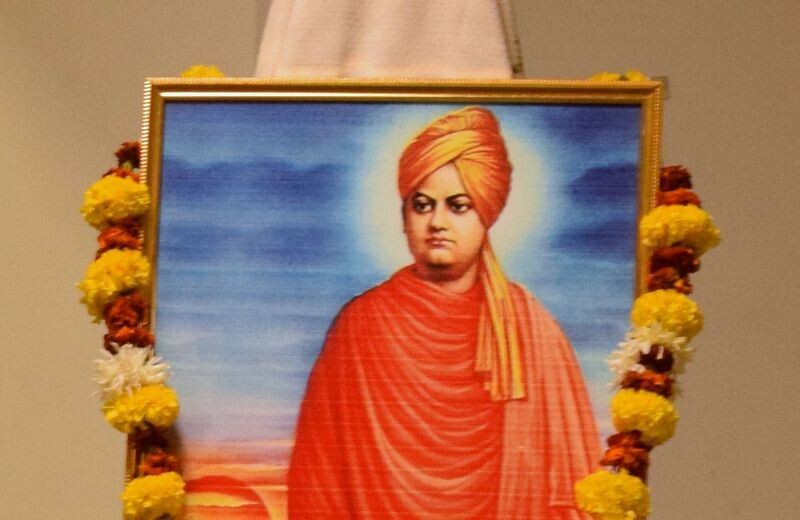 The function began by paying homage to the portrait of Swami Vivekanand by the Principal, Vice Principal Mrs. Rekha k. Gurrala, teachers and students. 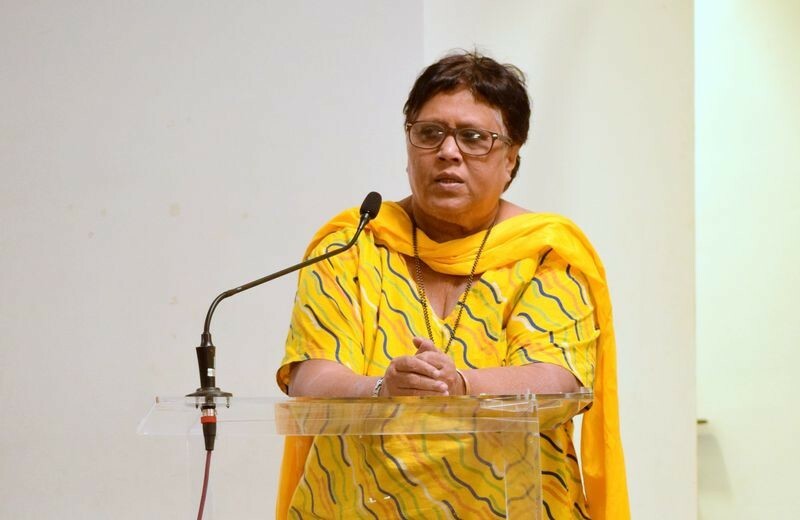 Speaking on the occasion, Principal Mrs. Rupa S. Khope urged the students to emulate Swami Vivekanand and in their own little way contribute to the society. 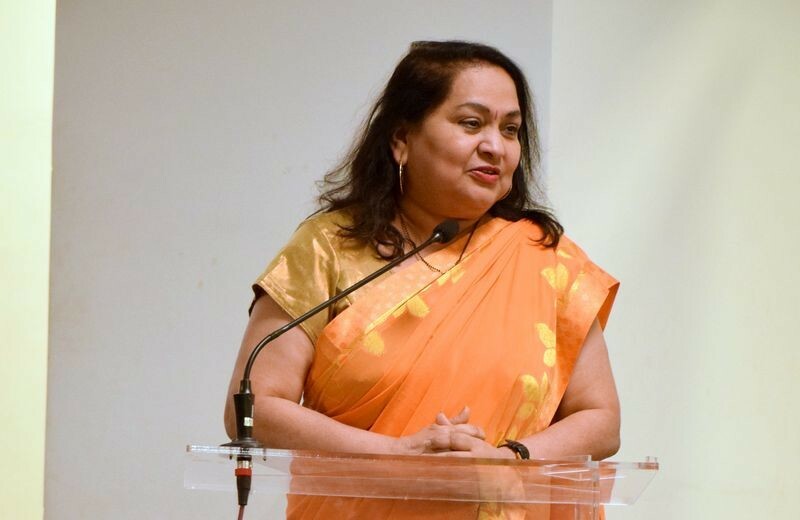 Senior Teacher, Mrs. Sumedha Kamat Desai also spoke on the occasion by narrating inspiring incidents from Swami Vivekananda’s life. 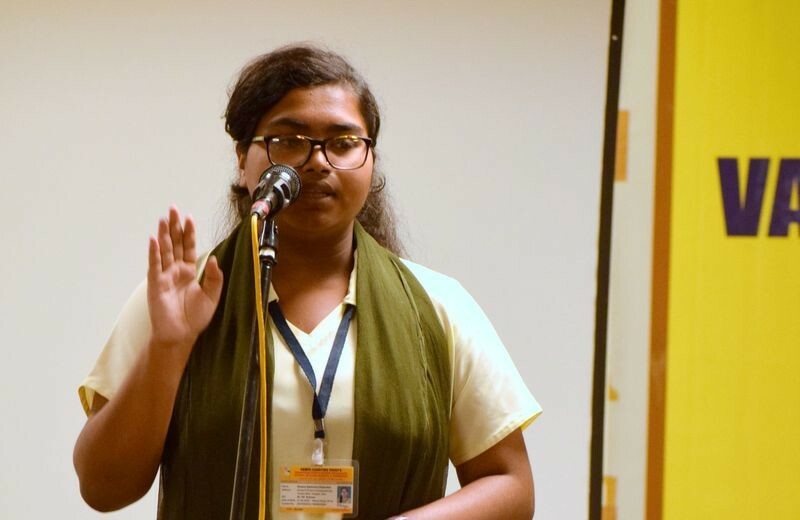 The competition was divided into two categories: English and Regional language and was judged by senior Teacher Mrs. Sumedha Kamat Desai and Teacher Ms. Vanaja Mudaliar. 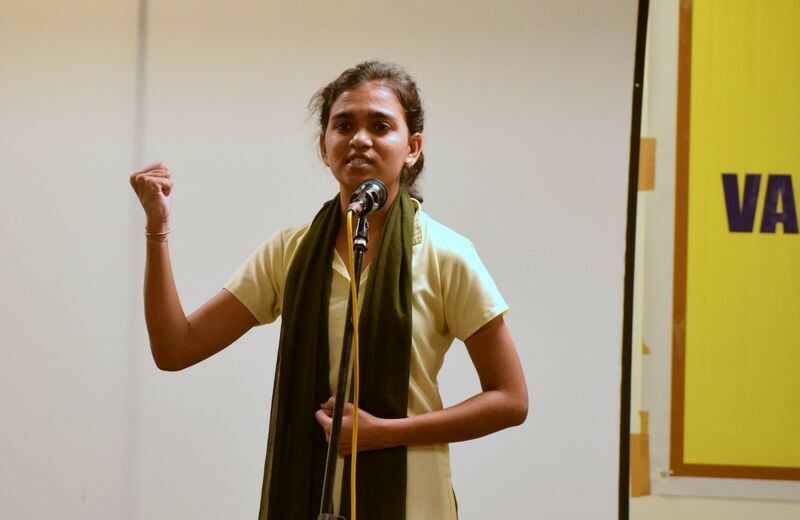 The story telling competition received an overwhelming response in terms of participation in English and Regional Languages. 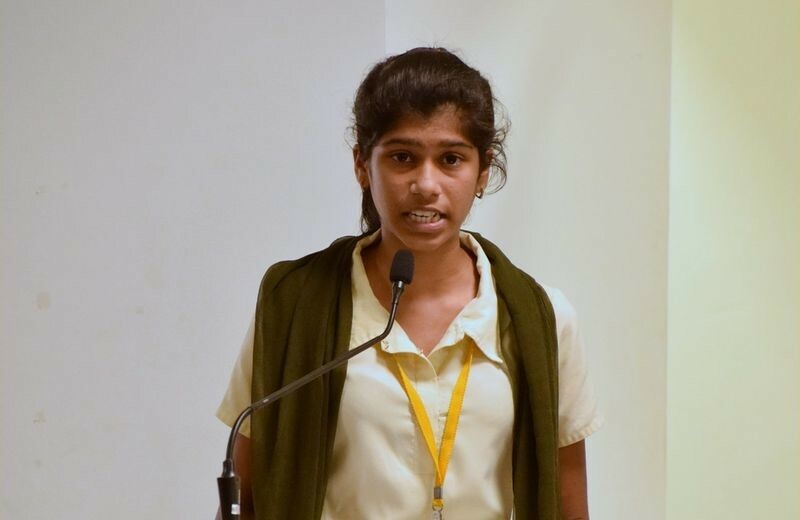 The prize winners for the competition in English language category was bagged by Ms. Afrin Chauhan (1st Place), Ms. Walusha Rodrigues (2nd Place), Ms. Sarah Shaikh (3rd Place) while Ms. Ritika Mukul Lal and Ms. Sumaira Khan bagged the first and second consolation prizes respectively. 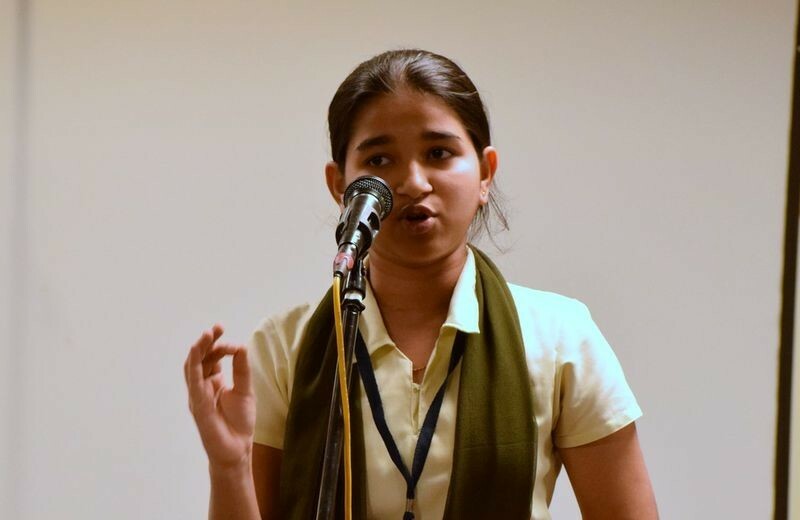 On the other hand, the prize winners in the Regional language category were Ms. Prachi Dongrikar (1st Place), Ms. Shraddha Pal (2nd Place) and Ms. Vaibhavi Naik (3rd place). The first, second and third consolation prizes were bagged by Ms. Gayatridevi Bhave, Ms. Anushka Shetye and Mast. Nehankit Yeragi respectively. All participants were awarded participation certificates. The competition was conducted in a successful manner by the Students’ Council In charge teachers. The participants were trained by the language teachers. 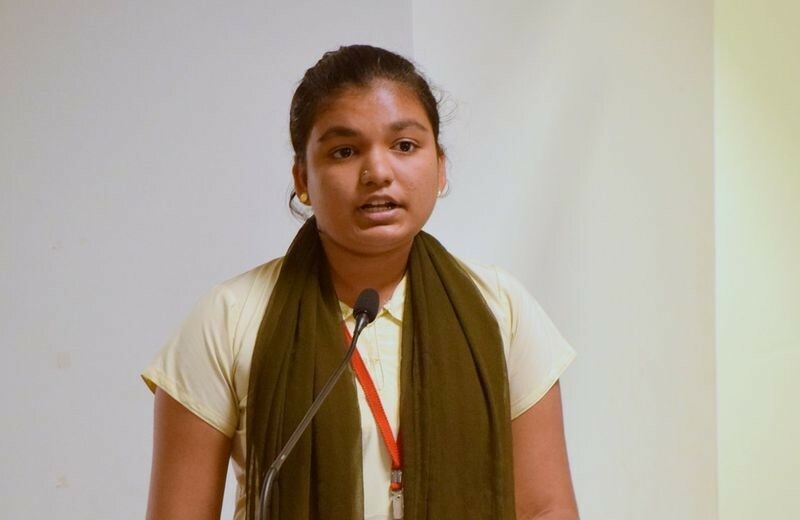 It was a fruitful learning experience for every individual who attended the competition. Teacher Ms. Twinkle Fatarpekar compered the function, while teacher, Mrs. Aparna Morya proposed a vote of thanks. Earlier, teachers and students presented an invocation song.